The Tasting Collective launches in Philadelphia this October. A brand-new dining concept already established in New York, Chicago, and San Francisco is finally making its way to Philadelphia with members-only club Tasting Collective, which begins here next month. Though there are a handful of highly coveted, members-only restaurants already in the city (such as Palizzi Social Club), Tasting Collective functions a little differently. 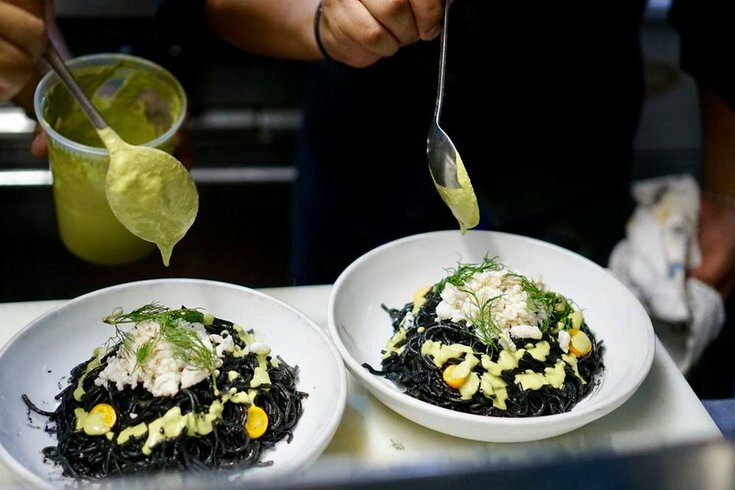 Rather than stationed as one dining destination, the collective is literally a moveable feast, setting up shop at different restaurants so that chefs can preview new menus and other specials with area foodies for feedback, and offer a more hands-on look at how the dishes are made. Members may take part in the private dinners for a $126 annual membership, plus $50 a head per dinner. Members can bring guests for an additional $25. Eater reported three Philly restaurants are locked into Tasting Collective so far: Center City's Russet, East Passyunk's Will BYOB and Kensington's Cadence. Dinners at those establishments will begin early October. During a typical Tasting Collective dinner, you can expect more intimate interaction with chefs, including insight of the story behind various dishes, and a constant flow of food. "We call it an eight-course feast, but there's no break," Tasting Collective Founder & CEO Nat Gelb told Eater. "The food just keeps coming, it's a whirlwind experience." Once the food starts flowing, Tasting Collective also brings Yelp to real life. Diners participate in a Q&A at the end of the meal, as well as rate dishes and provide written comments as courses are served. Interested in becoming a member? Visit Tasting Collective to request an invitation.